In June 2016 Interference Archive opened the exhibition, if a song could be freedom . . . 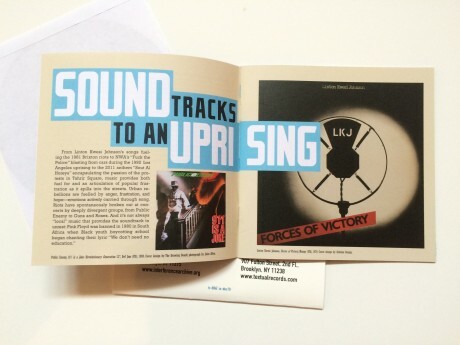 Organized Sounds of Resistance. 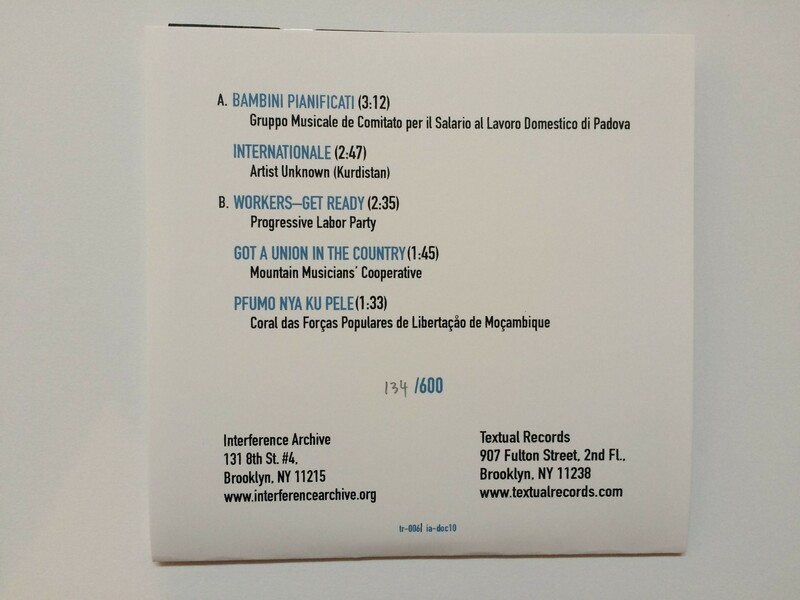 As an accompaniment to the exhibition and catalog, we pressed a limited edition 7” vinyl record in collaboration with Textual Records. It is available at Interference Archive during our open hours. 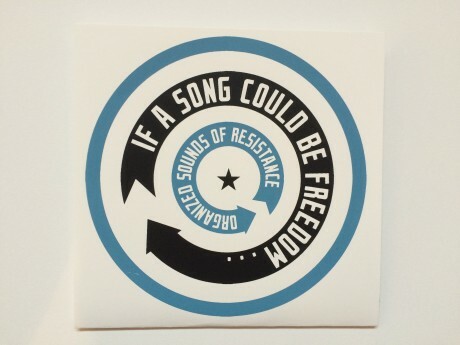 If you aren’t in New York, or not able to swing by, you can buy one from our partners the Justseeds Artists’ Cooperative by clicking the button below. Only 600 copies pressed, so get yours now! Music has been at the core of hundreds of political and social struggles across the globe. Putting words to song has been a way to pass down oral histories, and define and value one’s cultural heritage. With the advent of the vinyl record album in the early 20th century, people were able to record and distribute these songs, allowing them to transcend geography and rapidly influence musicians around the world. 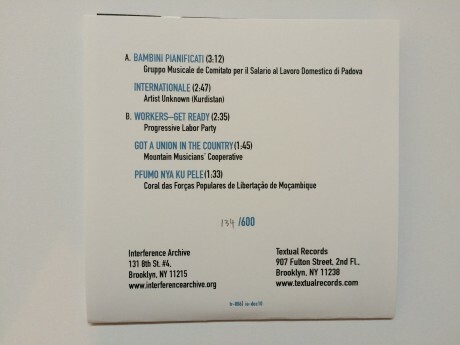 From anarchist folk songs to anthems of African liberation movements, Latin American ballads to the songs of the Civil Rights Movement here at home, the record album has played a key role in our understanding of how social movements communicate. More recent music subcultures such as punk and hip-hop are both political and politicizing in their own ways, and created worlds and communities which both moved with and beyond the music, becoming ends in and of themselves. In addition, pop music began taking on an active role in politics in the 1960s, with a wide range of results. Songs such as “Free Nelson Mandela” by the Specials successfully galvanized the anti-apartheid movement, while more suspect attempts like “Do They Know It’s Christmas?” by Band Aid promoted charity not change. Either way, popular music articulated a complex vision of globalization long before it was a catch-word for the evolution of capitalism. if a song could be freedom . . . Organized Sounds of Resistance is organized by Kevin Caplicki, Josh MacPhee, Amy Roberts, Valerie Tevere, and Ryan Wong. It features the picture sleeves of over 200 political recordings that will expose the broad scope of the intersection of music and politics. Several albums will be the focus of research and writing explaining the background of the recording and musicians, the relationship to social movements and organizing on the ground, and issues of reception within communities engaged in the struggles documented by the songs. 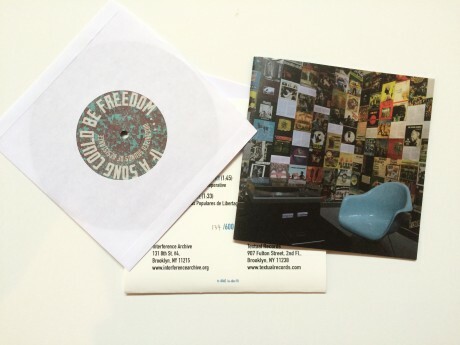 In addition, the exhibition includes written contributions from activists and musicians, flyers, lyric sheets, buttons, publications, and other ephemera. A series of public programs coincide with the show, where we will actively and collectively listen to and discus how music has shaped the manners in which we understand ourselves in the past, present, and future.